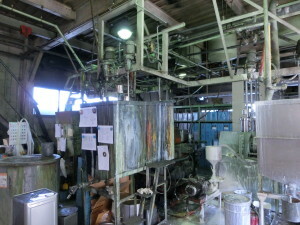 Nichia Paint located in Ikuno is one of the leading paint-making companies in Japan. Nichia Paint that has started paint business in 1948 mainly provides original oil paints to a variety of industrial sectors in Japan. 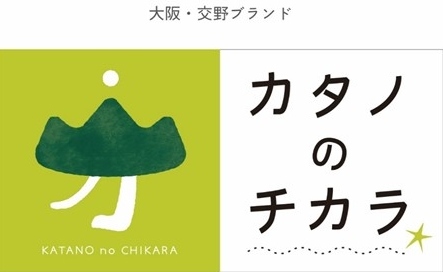 One of Nichia’s business policies is “Customer First”. Nichia always makes an effort to produce paints the customers need in specific working environment. Nichia’s paints are used for coating various machines such as a construction machine and an assembling machine. Therefore, they need to answer their clients’ requests about a tiny difference of colours. 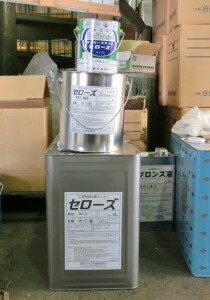 The executive manager, Mr. Takahito Yamaji, says “We are manufacturing usable and reasonable paints for our customers. For example, in order to provide necessary quantities the customers request, we are making not only 18-liter can size but also small can size paints”. To beat other competitors in severe global economy, some major paint companies in Japan attempt to make new products day by day. Consequently, they tend to stop selling less popular paints in order to change manufacturing lines for new products. However, Mr. Yamaji says “Making unpopular products may not be profitable for paint companies. However, it is true that there are paint users who need them in a market.” To apply to those market needs, Nichia continues to sell rare products that major paint companies have stopped making. “Nichia is making effort to answer any types of requests from our user”, Mr. Yamaji says. Ms. Noriko Kawanishi who is in charge of sales says “We do not think to expand our market share to foreign countries at this moment. But, we strive to increase sales routes to get new users in Japan”. She is proud of quality and credibility of Nichia’s products. “Using our products once, you will be able to understand usability of our products”. 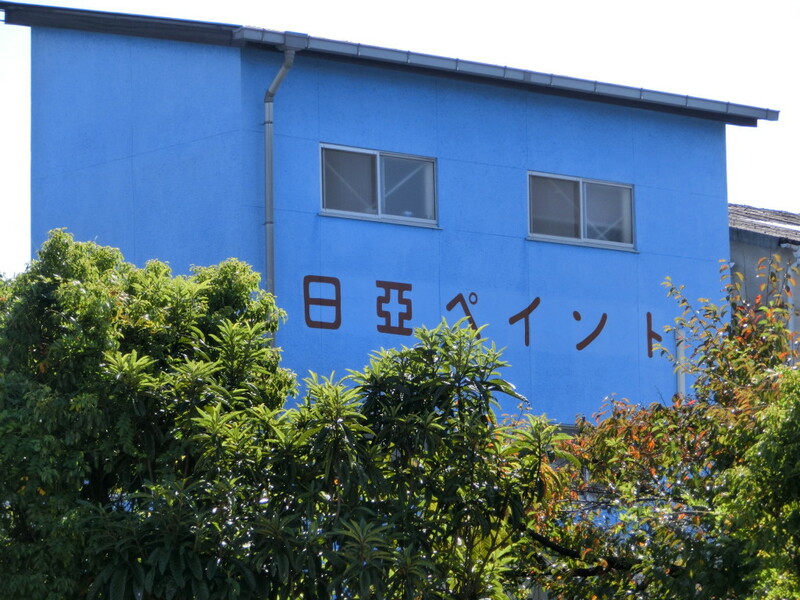 Finally, they told me that Nichia Paint always thinks not only of our profit but also of a way of contribution for Katano City. 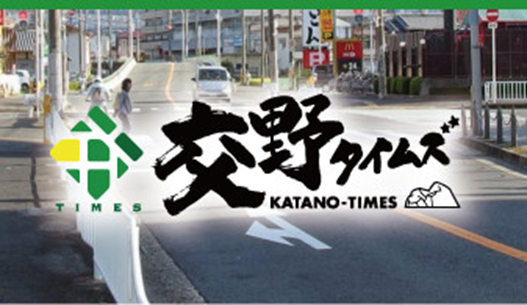 To invigorate a local economy, Nichia strives to sell Made-in-Katano products to much more new paint users and to enhance Katano’s community excellence through participating in various local events hosted by Katano Business and Industry Association and other organisations in Katano. 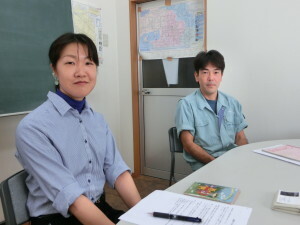 Through this interview with Mr. Yamaji and Ms. Kawanishi, I was able to feel their loyalty and love to Nichia Paint. Unfortunately, I was not able to talk with the current president, Mr. Keizo Tanaka, since he was in Tokyo. But, I read his message uploaded on Nichia’s official website. In the message, he says “the whole staff of our company work together to make the best products that our customers are glad to use”. This interview confirmed me that his honesty to the customers shared with his staff members. I owe many thanks to Mr. Keizo Tanaka, Mr. Takahito Yamaji, Ms. Noriko Kawanishi, and Mr. Takuyuki Norimoto. I was not able to start this new challenge without their help and support. Mr. Tanaka gracefully accepted my selfish interview offer. Mr. Norimoto who is the former president of Nichia Paint Ltd. took great pains to arrange this interview for me. I would like to express my deep gratidute to Nichia Paint Ltd.